One interesting activity that you can get your child to engage in is star-gazing. This will help your child become interested in astronomy, which will help him or her a great deal once they start going to school. This will stimulate their inquisitiveness, a trait that is very much needed in science. Buying a good telescope for your kids might take some time, for you have to shop around for those with the right qualities that will allow you to use them for a long time. Here are a few suggestions you can look into to make your shopping easier. One of the good telescopes for kids that is highly recommended is the Tasco 402x60mm Refractor Telescope. This one has high-quality optics that provide clear and crisp images. The maximum magnification is 402x with an appropriate eyepiece. The objective lens provided measures 60mm so that gives a 175x magnification. With these features, it is absolutely ideal for children and novices who want to explore the night sky. So what can you see with the Tasco Refractor Telescope? You will be able to set sight on the rings of Saturn and the bands of Jupiter, as well as other deep-space objects. 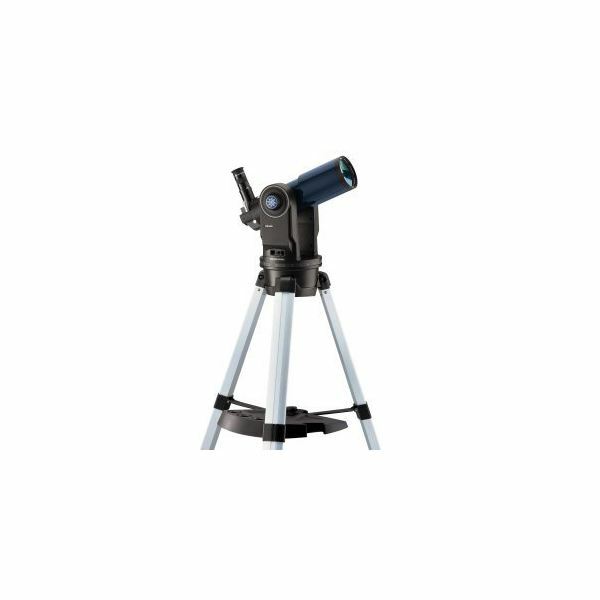 This is very easy to use and operate, a good beginners telescope. The Zhumell Zenith 60×600 telescope is another good telescopes for kids. It is one of the beginner telescopes that you will find with the best value, and it has a grab-and-go design for fast and easy viewing of the stars and other heavenly bodies. There is a 3x Barlow lens included, as well as two eyepieces for different magnifications. When you buy one of these, you will have everything that you need in the package, such as the tripod, the carrying case, the prism and other necessities for the telescope. Meade has a good telescope for kids called the ETX-80AT-TC telescope. This is quite a bit larger for it has a diameter of 80 mm, which provides a much brighter and clearer view of the planets and stars. With this telescope, you can see the Moon’s craters, the belts of Jupiter, and the rings around Saturn. Since this is a computer telescope, you can align it with the night sky, and you only need to push a few buttons to do that. In addition, it also has an internal time chip which will show you the exact time and date, it has a compass for easier navigation, and it includes eyepieces that provide a wider field of view. The three telescopes mentioned are great for any child beginning to explore the cosmo, and all of them are easy to use. So the next time you are looking for a present for your child, you might want to consider one of these good telescopes for kids.